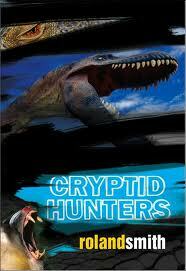 Cryptid Hunters is another great read by author Roland Smith. Since being a school teacher tires me out by the end of the day, I tend to choose some books for easy reading. 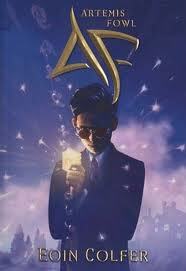 This book is full of action and adventure, much like Smiths’ other books. Grace and Marty, thirteen-year-old twins are sent away to live with their uncle Wolfe when their parents are not found after their airplane crashes. Besides getting to know their uncle, the twins find out that he is very interested in cryptozoology, the study of animals, such as the Sasquatch, the Loch Ness monster, and the Mokelembembe, whose existence have not yet been proven scientifically. Wolfe sets up an expedition to the Congo in central Africa to find what is believed to be the last remaining Mokelembembe, a small dinosaur slightly larger than an elephant. He is in a race against time since his enemy in the scientific field, Dr. Noah Blackwood, is also setting up an expedition. Grace and Marty try to convince Uncle Wolfe to take them on the expedition, but he refuses. Grace really wants to go on the expedition since she experiences nightmares and thinks they are connected to somewhere in the Congo. The twins end up in the Congo, but the way they get there is quite “air”xilirating. Along the way, Marty and Grace find out the truth about their family and Uncle Wolfe. There was no inappropriate language in this book. The most violence that occurs is some tranquilizer darts being shot at some of the villains and a fire being set to destroy the carcass of a dinosaur. The most supernatural thing in this book is the mentions of the cryptids and the hunt for the Mokelembembe. In my opinion, these are more mythical, but possibly real creatures truly not yet discovered. I’m not sure where to begin. Not only is it difficult to summarize a 100 chapter, 460 page book, but Life of Pi might just be one on the most complex books I’ve ever read. The plot is fairly simple, if not fantastical. 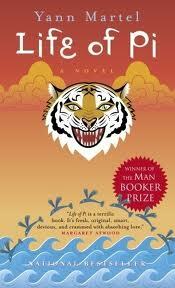 Life of Pi tells the story of Piscine Patel, a sixteen year old Indian boy who becomes stranded in a lifeboat with a zebra, a hyena, a orangutan, and a bengal tiger. But I’m getting ahead of myself. The shipwreck that sets Piscine’s ordeal in motion does not happen until some 30 chapters into the novel. The novel begins with an Author’s Note in which Martel tells his readers how he happened across the story of Piscine. Of course in real life there is no Piscine Patel, but it’s a great literary technique that draws the reader in and makes Piscine’s story all the more intriguing. The rest of the novel is divided in to three parts. In Part One, Toronto and Pondicherry, we learn who Piscine Patel is – an Indian boy growing up happily at his father’s zoo and deeply committed to his faiths. Pi, as he calls himself, is a devout Hindu. Since his parents are not particularly religious, they find it startling and perplexing when they discover that not only is Pi a devout Hindu, but also a devout Christian and a practicing Muslim. Pi’s faiths are in some ways tangential to the story of his survival. He relies on prayer to get through each day, but the story is far more about the practical business of Pi’s survival (getting food and water and not being eaten by the tiger) than about a spiritual journey. Yet in the end, the concepts of myth, truth, and reality will all be called into question. What questions Martel wants his readers to ask about faith are unclear. The second part of the novel, The Pacific, is the where the action is. It is the 70’s, and Pi’s parents have decided to sell the zoo animals and leave India for political reasons. The family and many of the animals are on a ship bound for Canada, when a freak explosion causes the ship to sink. Only Pi, a zebra, a hyena, an orangutan, and a bengal tiger named Richard Parker make it out alive. Oddly, it is not Richard Parker whose blood lust takes out the zebra and orangutan. It’s the hyena’s. He’s a disgusting creature that even Pi, an animal loving vegetarian, can’t warm up to. Soon, however, the hyena gets what’s coming to him when Richard Parker kills and eats him. Now there are two. Fortunately for Pi, the lifeboat contains a locker of survival supplies,including food and water. Unfortunately, he is still trapped on a lifeboat with a hungry, cranky Bengal tiger. After nearly giving up in despair, Pi decided his only hope is to train Richard Parker. Pi must show the tiger who’s boss – establish dominance. He does this using a whistle, the rocking motion of the boat, and his own urine. The book give an extremely detailed account of Pi’s other survival efforts and struggles – collection of water, building a raft for fishing (and for getting away from Richard Parker), finding food. Survival on a lifeboat, with our without a Tiger, is rough. The supplies don’t hold out forever, and Pi is often on the brink of death from starvation or dehydration. As if living on a lifeboat with a Tiger were not bizarre enough, Pi’s experiences become even more fantastical as the story goes on. Soon we begin to question Pi’s story, if not his sanity. For example, once, while Pi is suffering from dehydration-induced blindness, he happens upon another lifeboat containing a blind passenger. The two have a rather amusing conversation (considering their circumstances) until Pi’s new friend inadvertently wanders into Richard Parker’s territory. The good news is that Richard Parker’s hunger is certainly staved off, and Pi is able to gather enough supplies from the poor man’s lifeboat to live to see another day himself. There is also an island of algae inhabited only by meerkats. Pi is able to live there quite satisfied until he discovers the island is carnivorous. Finally, finally in the third section of the book, Infirmary, Tamatlan, Mexico, Pi and Richard Parker wash up on the shores of Mexico. The first thing the tiger does, much to Pi’s dismay, is jump off the boat and run into the jungle never to be seen again. While he is in the hospital, some men from the Maritime Department in the Japanese Ministry of Transport, come to interview Pi in hopes of finding out what happened to the ship that sank. Pi relays his entire ordeal to the men, but they insist they do not believe him. Finally, he offers them another version. In this much shorter story, Pi tells them that with him on the lifeboat were a Chinese sailor, a disgusting and cruel French cook, and his mother. Wait. What? The second version is even more horrific than the first, which, while disturbing at times, still had an element of charm and humor to it. The people version does not. It does, however, strangely resemble the animal version. The horrible French cook cuts off the leg of the Chinese sailor – just like the hyena bit off the leg of the zebra. Eventually the cook turns on Pi’s mother and kills her violently. He decapitates her, just like the hyena decapitates he orangutan. If in reality, the Frenchman is the hyena, the Chinese sailor is the zebra, and the orangutan is Pi’s mother. We are left to wonder if Pi is actually Richard Parker. 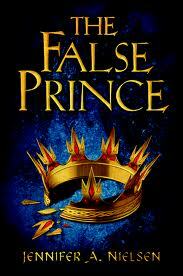 Was the earlier, much much lengthier story, merely Pi’s way of coping with a truth too horrible to imagine? It’s never clear. If so, what questions, if any, is the author raising about the way we use stories and myths to deal with life’s difficulties? Remember, Pi is deeply religious, and all three of his religions spring from great stories. Do I recommend this book? It’s a tough read. Few younger readers will be able to hang in there for all 100 chapters, especially the one’s that go on and on about this detail or that of Pi’s survival. (And of course there is the violence – see below.) 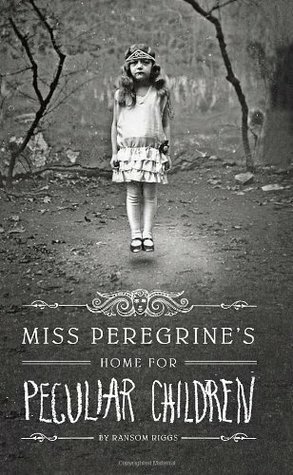 Yet as boring as the book was at times, I always found myself wanting to read further. 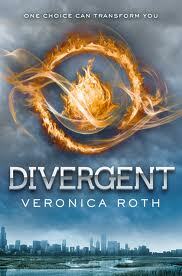 Oh, and I can’t wait for the movie! My guess is that it will be “Disney-ed” up enough to make it suitable for those how don’t want to endure the violence and occasional tediousness of the novel. Most of the violence is animal on animal violence, but it’s fairly gruesome. Perhaps the most disturbing element is the cannibalism that is present in both the animal and people versions of Pi’s story. In the first section of the book, Pi does discuss animal husbandry briefly. That’s about it. As I said in the summary, Pi is religious. Very religious. Some parents might find his unwillingness to “pick a team” troubling. Some would argue that you can’t simultaneously be a Hindu, a Christian, and a Muslim. It’s unlikely that younger readers will draw a parallel between the questions raised by Pi’s stories and the stories of faith. I’m not even sure the author meant to make that connection. If not, Pi’s faith is really almost unnecessary to the story. Why does Pi become a Christian? A Muslim? Can you be both? Why do you think the author includes such details about how Piscine got his name or how he made is raft? Does this add to the story or make it harder to read? Pi says that you can get used to anything. Do you think this is true? Pi says he believes that Richard Parker saved his life? How is this so? What do you think would be the worst part about being stranded on a lifeboat? The hunger and thirst? The fear? The loneliness?